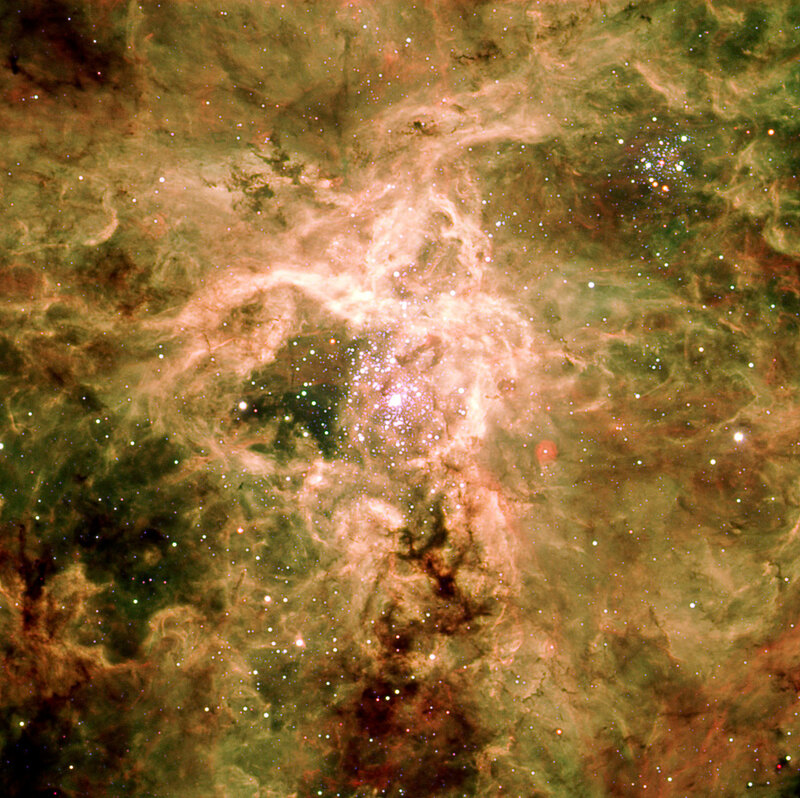 Three-colour image of the Tarantula Nebula in the Large Magellanic Cloud. 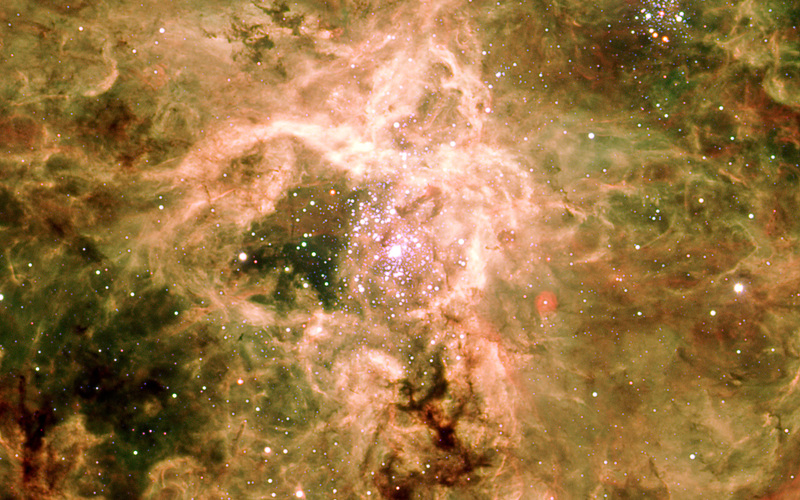 The image is based on observations made on 10 February 2002 and 22 March 2003 with the FORS1 multi-mode instrument on ESO's Very Large Telescope in three different narrow-band filters (centred on 485 nm, 503 nm, and 657 nm), for a total exposure time slightly above 3 minutes only. 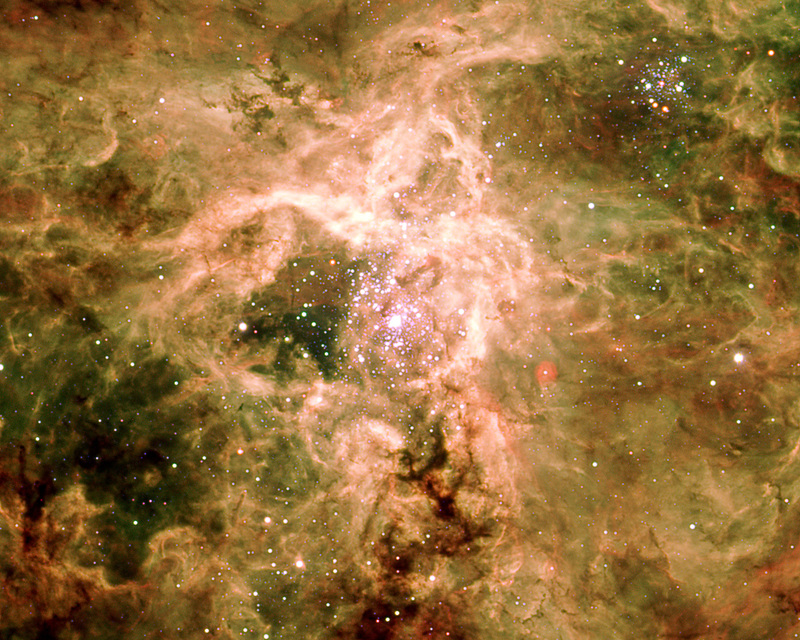 The data were extracted from the ESO Science Archive and processed by Henri Boffin (ESO).